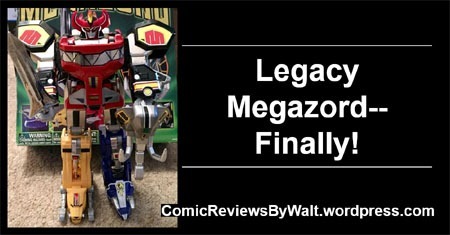 After several years, I finally managed to find the Legacy Megazord for something trying to be a reasonable price, but being significantly more than I’d choose…though still several times cheaper than anything I’ve seen available online! I’d come across it at The Exchange a couple weeks ago and passed on it–initially–due to the price. But once I looked online and realized the cheapest it was being offered for, I resolved that since I was going to be in that area again, I’d check–and if the thing was still available, I’d get it; if not…then someone else obviously wanted it more than I did. The box definitely shows the wear and tear of being previously-owned. But fortunately, when I opened it, everything I expected was inside. 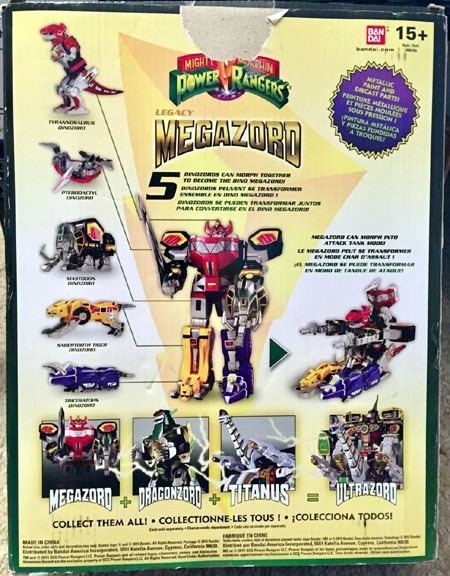 Much as with the Dragonzord last year, it seems to have passed through at least one second-hand seller. I’d missed out on this some years back, and passed on the Black and Gold edition when I’d seen that (for about half of this thing’s price) at Toys R Us once since then. 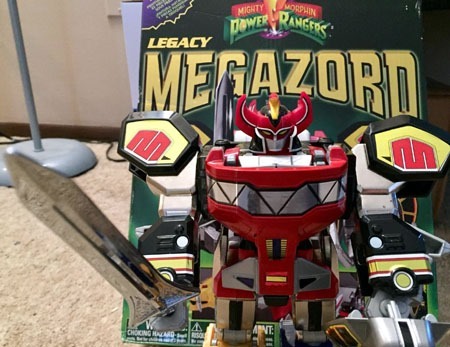 Now, to a degree, I physically have the Legacy collection–I can build the Ultrazord–with the White Tigerzord standing by. 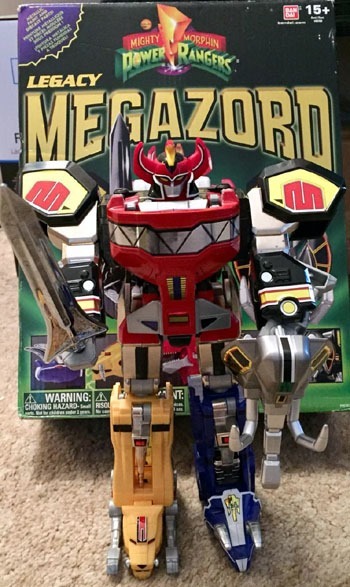 Unfortunately, though, my Titanus is that "Limited Edition Black and Gold" edition I’d passed on for Megazord. (Given secondary pricing and "out of print" and other collectability factors, I got Titanus as I did for the clearance pricing it was, for the sake of at least having some version of it!) All things being equal, if I had the opportunity to "trade" that to someone for the regular edition, I’d be glad to. So physically, I have the Legacy components…just that Titanus is not the right coloring. But that’s something for another time and another post, perhaps! And then here’s a slightly closer-up of the upper body with the sword. 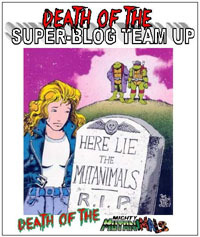 I must admit to a bit of buyer’s remorse on what I paid for this one. 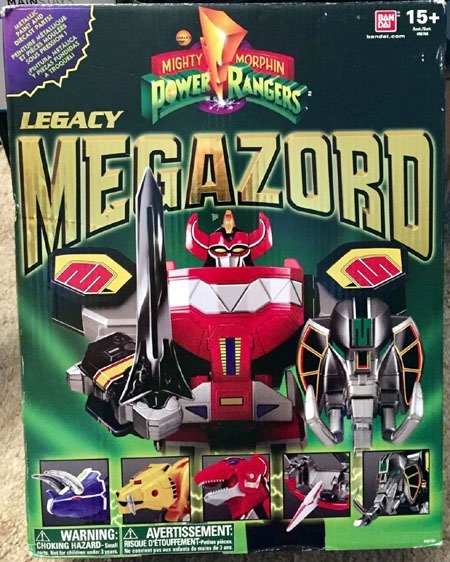 I’d seen stuff online last year and took comments for granted about the Legacy Dragonzord not being compatible with the all-plastic 2010 Megazord. Which I did already have…from 2010. I barely can–but then, I know which is which and what I’m looking for. (Legacy’s on the left, 2010’s on the right). 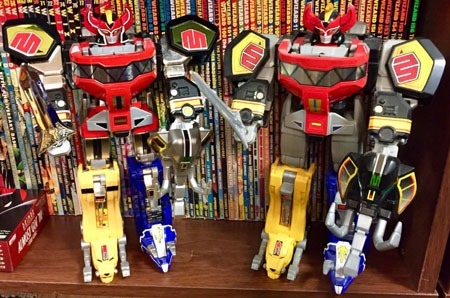 I’ve yet to take either of them apart for any fine, up-close comparisons; I might disassemble 2010 to have the five component Zords out, while Legacy displays as-is. Of course, I also plan to assemble Ultrazord at least once, just to be able to do so–that’s something that feels 25 years past-due for me. Finding the time and patience amidst other stuff, though…that’ll be a different story.